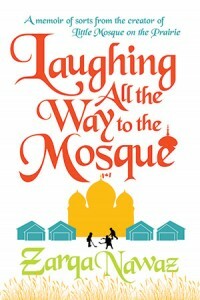 I had the perfect book for my daily commute last week, but for one thing: Laughing All the Way to the Mosque by Zarqa Nawaz had me laughing, out loud, all the way to work. This was vaguely unsettling for my fellow commuters, but, aside from a slight fear that they would band together to force the crazy giggling woman off the bus, I couldn’t have cared less. There is no better way to start – or end – your day than with a laugh and this book provides many of those. Nawaz, a Canadian filmmaker, is most famous as the creator of the television series Little Mosque on the Prairie, a sitcom about the Muslim community in a quirky small town in Saskatchewan. It attracted a lot of attention when it premiered and, reading Nawaz’s memoir, it is interesting to see how some of the show’s characters and episodes are inspired by her real-life events. …the best thing about the hijab was that I had discovered it on my own – my parents had nothing to do with it, which meant that I could beat them at their own game: religion. I wanted so desperately to be different from them. Hijab was the answer. Some people think hijab is used to oppress people. It’s true. I used it to oppress my parents. Her biggest fear for me was that too much education might result in old, dried-up ovaries. Until the letter arrived, my father had squashed her matrimonial dreams for me, because he believed marriage was for women who failed to get into medical school. I had officially become one of those females. Nawaz is definitely not onboard with this idea, especially as she overhears unsettling conversations about one-eyed accountants. She can’t understand why her mother is so determined to see her married. Her mother’s answer to that, “because you’ll be lonely after I die”, is eminently sensible and true, but I can understand how a twenty-two year old might not see it that way. Nawaz enrolls in journalism school instead of marrying immediately and, a few years later, ends up engineering her own marriage to Sami, then a medical student, now a child psychiatrist, and moving to the Prairies to be with him. The years that follow are busy ones, filled with the births of four children and the start of Nawaz’s career as a filmmaker, first with low-budget short films, then documentaries, and finally Little Mosque on the Prairie. But, thankfully since I’m not much interested in filmmaking, her career track is very much in the background here. Instead, we hear about what it is like explaining to a Canadian contractor how a Muslim bathroom needs to be laid out or how a not-particularly-accomplished chef (Nawaz) finds herself cooking an Eid dinner for dozens of people. One of my favourite chapters described Nawaz’s experiences on Hajj, when her father-in-law took all his children and children-in-law (grandchildren stayed home) on pilgrimage to Mecca. Most of all, this book is funny. It is full of hilarious dialogue, with all of Nawaz’s family members, particularly her mother and husband, portrayed as the long-suffering straight men to her unrelenting comedienne. I laughed more than I have in months while reading it and I loved every page. This sounds like the kind of memoir I would really like, great review. It’s very fun, Ali. I hope you get a chance to read it! I was looking forward to you review, Claire, and am not in the least disappointed. My library system does not as have “Laughing All the Way to the Mosque”. I’ll have to see how I can change this. It’s only come out very recently, Penny, so hopefully your library will get a copy soon – with or without your assistance! Oh goody! I wonderful-sounding book that my library actually has! Off to request it! This sounds like a lot of fun — I’ll put it on the list. Hahaha, this sounds so charming! I might skip the chapter about having to cook for everyone for Eid — I’ve had nightmares like that, as an uncertain cook myself. As an uncertain cook, I think you’ll appreciate Nawaz’s Eid dinner all the more! She was no great shakes in the kitchen herself when she took on the task, which of course makes for a much better story. This sounds great! Literally laugh-out-loud funny books are such gems. I still remember when I stumbled across Nicholson Baker’s The Mezzanine in my university library…I had to check it out simply because I was laughing so much, I was disturbing the people who were actually there to study! I’ve never heard of Nicholson Baker or The Mezzanine. Will have to make note of that one. This sounds hysterical. 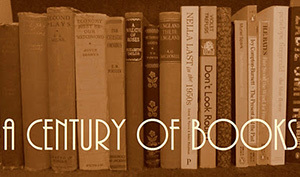 Sometimes a funny read is just what we need. It really is and this fits the bill.